One of the supports for the second story porch has been removed, junk and kids things are all over the yard and sidewalk so it is hard to walk down the sidewalk, dog tries to break down the fence when anyone with a dog goes by. I wonder if it is safe for the kids under the broken porch? 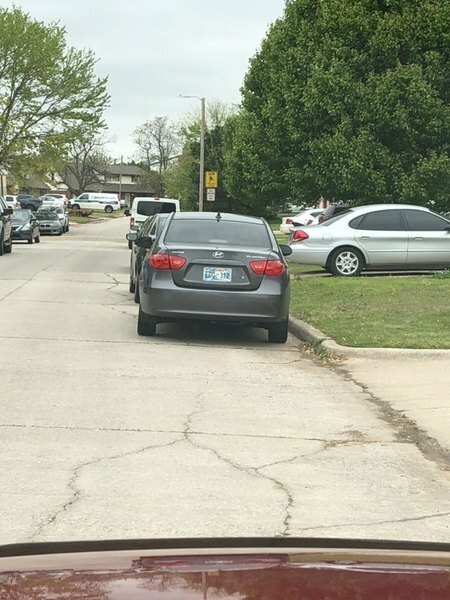 Vehicle parked for days in the street at 816 Penn Lane. 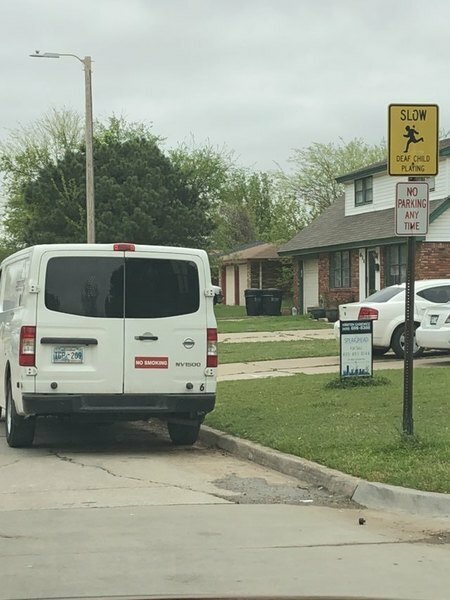 Parked where sign says no parking this side of street. /thank you, we are working together for the better of our community!! Vehicles parked where signs say no parking this side of street. 700 PennLane. Causes traffic congestion’s. Last year the city didn’t mow behind these houses along the city drainage ditch. At one point the grass was 5 feet. We’re getting concerned again as we’ve seen the other side get mowed already but no city contractors mowing the resident side. We mow behind our house when we can but we can’t always. I took this picture right after we did have a chance to mow so you can see the difference in height. It’s not horrible yet but already buggy In the taller grass. Is this something that’s going to be addressed soon? Your point is well stated. I'm sure the City makes a contract every year with some company and/or hires more outdoor folks that do this year around. Thank you for providing a photo. The city does not have a contract with a company for mowing. We employee a maintenance crew that mows on a schedule, they maintain/mow various areas across the entire city. I do not have access to their schedule, to inquire further on when your area will be mowed please contact the Public Works Department at 793-5070. A few pot holes on the service road/on-ramp Northbound i 35 and 4th St.
Public Works Streets Department will handle all pot hole repairs thru the POT HOLE HOTLINE, please submit a report by calling 799-4653. Large pot hole forming between 2709/2713 SE 8th Street. Your description and photo has been turned over to the Public Works Streets Department (405) 799-4653. Please contact them at the number provided for any follow-up information regarding this issue. Vehicle parked in yard for over a week now. Also, there has been a piles of bricks (that fell off the house above the garage) in the yard for months. Weeds are also nearly 1 foot tall. Your description & photo for 819 SW 14th St. have been turned over to the Code Enforcement Department (405) 793-5052. Please contact them at the number provided for any follow-up information regarding this issue. The black car at this residence appears in violation of the Code of Ordinances part 15 chapter 3 Section 15-302. The car is extremely loud.